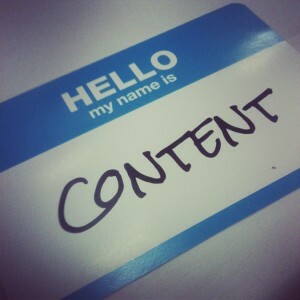 There is an overused—but still relevant—saying that “content is king”. This refers to the idea that compelling, original content is one of the strongest signals Google feeds off of when determining a website’s ranking, meaning that your site cannot succeed without content on its pages. Ever since this idea became public and was proven to be true, Search Engine Optimizers everywhere started flooding sites with content in hopes of gaining the extremely rewarding rankings Google so unwillingly hands out. Of course, this approach—in many cases—caused more harm than good, and many had to watch as their site slowly dropped off of the rankings. Google’s algorithm is not a kind ruler, and it does not take pity upon those who try to game the system. But, there is a right way to do it and, if you learn from the mistakes of others, you can send positive signals to Google with content, regardless of your skill level. Here are just a few of the tenets a content marketer should stick to when developing a content marketing plan. An outdated, extremely “black hat” practice, using content spinners is one of the worst things you ever do to your site. If you aren’t familiar with what a content spinner is, it is a tool or application that rapidly creates poor quality content and spreads it across your website. It is capable of producing content ten times (or more) faster than a normal person, and it is normally very cheap, often making it seem like an attractive option for many people. With that said, the quality of spun content is so bad, and the variation between them is normally so low, that having a website filled with spun content will quickly raise red flags for Google. This can get your site penalized and thrown down 50 pages in the results, where you’ll have to start your SEO plan all over again. I understand that you may have a large site with hundreds or even thousands of pages, and I completely understand that the idea of filling every page with 100% unique, manually written content can be terrifying (especially if you’re paying someone to do it); however, content spinners, regardless of how quickly they can fill out your barren webpages, will doom your rankings. Stay away from SEO companies that use spun content even just for link building purposes (such as article or web 2.0 sites), because your site will be much better off in the long run if you do. Another downside of content spinners is the fact that it’s just completely unnatural. If one day your site is completely blank, and the next you have thousands of pages of content, then you are going to have issues with your rankings next time Google’s bot stops by your site. But, even if you have someone physically writing the content for you, it’s important to spread that content out in a natural way. That means if you are working with an SEO company that has a farm of writers giving you 50 or so pages of blog posts and content per day, you can’t put it all up at once. This, of course, is mostly important for blogs, and it probably isn’t that big of a deal unless you really are trying to put up extremely large volumes of content consistently, but it’s still something to keep in mind whether you are running your own campaign, or you are hiring someone to do it for you (after all, not all of us can be experts, and that might include the company you’ve already chosen to spearhead your campaign). Having content on your site is great and all, but if that content isn’t targeted towards searchers, you won’t get much—if any—value from it. You need to run keyword research campaigns, find out what people are searching for, and use your findings throughout the content on your site in smart, natural ways. This includes title tags, content, meta tags, headings, and all the usual onpage SEO factors that shows Google you are an authority concerning the subject you have chosen. Remember; the better this step is implemented, the more authoritative your site will seem, and content along with links will make your site climb higher in the search engine rankings. And this comes down to the final, most important step that you should follow regardless of any previous steps write only quality content. So many people choose to go the quantity route instead of the quality, and it ends up biting them in the end. After all, the main reason that Google has made content such an important part of search rankings is because of their belief that quality, targeted content reflects authority on a subject. If you have a host of fantastic blog posts and articles about the subject your site is centered upon, not only will Google see that you’re a trusted website, your site will become more usable, and—thus—more attractive to people. And, unfortunately, the opposite is true as well. In SEO, there are many signals that please both your consumers and the robots that are collecting information about your site, and quality content is definitely the most important one. So, take advantage of that, and make your site into a powerhouse of great blog posts and web content! Hopefully your visitors will share and enjoy it, and that will reflect in your rankings and traffic.